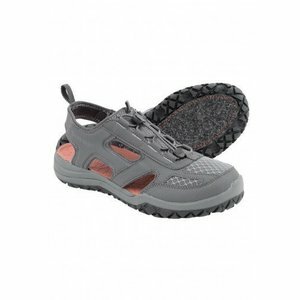 For hard-charging days, Simms' Riprap Shoe-Felt is a wet-wading pro, powered by Right Angle® Footbed technology that ensures proper foot biomechanics for all-day comfort. Its rugged, fully enclosed design blocks out debris and high abrasion synthetic and hydrophobic mesh uppers enhance both durability and drainage. 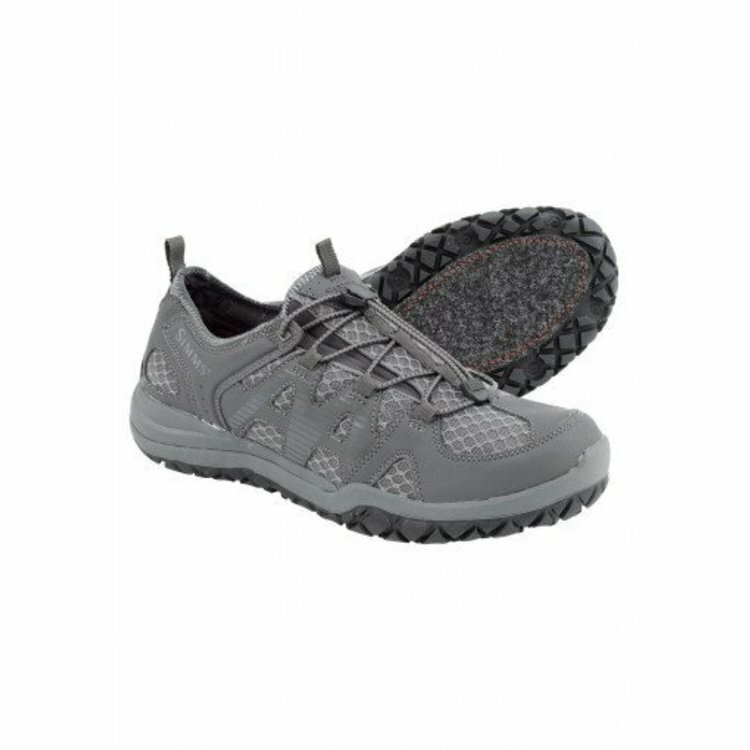 Additional features include stud-capable rubber outsoles, with a center felt pad, for authoritative grip on wet and dry surfaces, while bungee lacing closures deliver on/off convenience. Simms' new Riprap Felt Sandals are all-day, in-stream allies, combining a streamlined architecture with the fatigue-fighting benefits of Right Angle® Footbed technology. 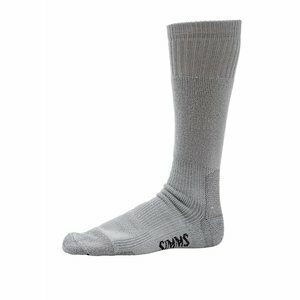 Simms Wet Wading Socks are perfect for wearing with just wading boots or sandals. 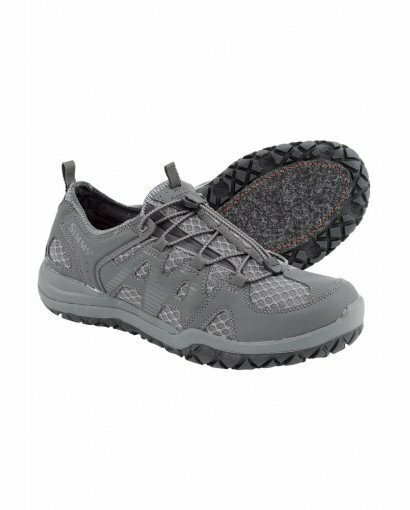 Features Hydrophobic polypropylene fibers repel water molecules and extra cushioning in the leg & foot for added comfort.